ACQ-7 indicates 7-Item Asthma Control Questionnaire; ICS, inhaled corticosteroid; LABA, long-acting β-agonist; LAMA, long-acting muscarinic antagonist; MD, mean difference; RR, risk ratio. Size of the data markers indicates the weight of the study. For continuous outcomes, the mean value represents the mean change from baseline (change score) for each study group and the MD value represents the difference in change scores (change from baseline) between the LAMA and control groups. The I2 value indicates the percentage of variability across the pooled estimates attributable to statistical heterogeneity (range, 0%-100%), and the P value is a test of heterogeneity across all studies (P < .10 indicates likely variation across pooled estimates related to statistical heterogeneity). “Events” indicates the number of participants in each group who experienced an event. ACQ-7 (range, 0 [worse] to 6 [better control]) is a patient self-administered tool for assessing overall asthma control. The minimal important difference was 0.5 for the ACQ7 and 0.2 L for the FEV1. FEV1 indicates forced expiratory volume in the first second; ICS, inhaled corticosteroid; LABA, long-acting β-agonist; LAMA, long-acting muscarinic antagonist; MD, mean difference. Size of the data markers indicate the weight of the study. For more information, see Figure 2 footnotes. National Heart, Lung, and Blood Institute. Expert panel report 3: guidelines for the diagnosis and management of asthma. https://www.ncbi.nlm.nih.gov/books/NBK7232/pdf/Bookshelf_NBK7232.pdf. Accessed March 5, 2018. Spiriva Respimat [package insert]. Ridgefield, CT: Boehringer Ingelheim Pharmaceuticals; 2016. National Heart, Lung and Blood Advisory Council Asthma Expert Working Group. Needs Assessment Report for Potential Update of the Expert Panel Report-3 (2007). Guidelines for the Diagnosis and Management of Asthma; 2015. Agency for Healthcare Research and Quality. Systematic review of intermittent inhaled corticosteroids and of long-acting muscarinic antagonists for asthma: research protocol. https://ahrq-ehc-application.s3.amazonaws.com/media/pdf/asthma-pharmacologic-treatment_research-protocol.pdf. Accessed March 5, 2018. Sobieraj DM, Baker WL, Weeda ER, et al. Intermittent inhaled corticosteroids and long-acting muscarinic antagonists for asthma: comparative effectiveness review No. 194. https://effectivehealthcare.ahrq.gov/topics/asthma-pharmacologic-treatment/research-2017/. Accessed March 19, 2018. Higgins JPT, Green S, eds. Cochrane handbook for systematic reviews of interventions, version 5.1.0 [updated March 2011]. Cochrane Collaboration, 2011. http://handbook-5-1.cochrane.org/. Accessed March 5, 2018. This review describes the characteristics of asthma and presents an evidence-based approach to the diagnosis and management of mild to moderate stable asthma in adults. This systematic review and meta-analysis of randomized trials compares the efficacy of combined use of inhaled corticosteroids and long-acting β-agonists (LABAs) as the controller and the quick relief therapy (SMART) vs the same or higher doses of inhaled corticosteroids with or without a LABA used as the controller therapy and short-acting β-agonists as the relief therapy in patients with persistent asthma. Question What is the efficacy associated with long-acting muscarinic antagonists (LAMAs) as add-on therapy to inhaled corticosteroids in patients with uncontrolled, persistent asthma? Findings In this meta-analysis that included 15 randomized clinical trials with 7122 participants 12 years or older with uncontrolled, persistent asthma, LAMA vs placebo as an add-on therapy to inhaled corticosteroids was associated with a lower risk of exacerbations requiring systemic corticosteroids (risk difference, −1.8). Meaning LAMA use was associated with better clinical outcomes than placebo in patients with uncontrolled, persistent asthma. Importance Long-acting muscarinic antagonists (LAMAs) are a potential adjunct therapy to inhaled corticosteroids in the management of persistent asthma. Objective To conduct a systematic review and meta-analysis of the effects associated with LAMA vs placebo or vs other controllers as an add-on therapy to inhaled corticosteroids and the use of a LAMA as add-on therapy to inhaled corticosteroids and long-acting β-agonists (LABAs; hereafter referred to as triple therapy) vs inhaled corticosteroids and LABA in patients with uncontrolled, persistent asthma. Data Sources MEDLINE, EMBASE, Cochrane databases, and clinical trial registries (earliest date through November 28, 2017). Study Selection Two reviewers selected randomized clinical trials or observational studies evaluating a LAMA vs placebo or vs another controller as an add-on therapy to inhaled corticosteroids or triple therapy vs inhaled corticosteroids and LABA in patients with uncontrolled, persistent asthma reporting on an outcome of interest. Data Extraction and Synthesis Meta-analyses using a random-effects model was conducted to calculate risk ratios (RRs), risk differences (RDs), and mean differences (MDs) with corresponding 95% CIs. Citation screening, data abstraction, risk assessment, and strength-of-evidence grading were completed by 2 independent reviewers. Main Outcomes and Measures Asthma exacerbations. Results Of 1326 records identified, 15 randomized clinical trials (N = 7122 patients) were included. Most trials assessed adding LAMA vs placebo or LAMA vs LABA to inhaled corticosteroids. Adding LAMA vs placebo to inhaled corticosteroids was associated with a significantly reduced risk of exacerbation requiring systemic corticosteroids (RR, 0.67 [95% CI, 0.48 to 0.92]; RD, −0.02 [95% CI, −0.04 to 0.00]). Compared with adding LABA, adding LAMA to inhaled corticosteroids was not associated with significant improvements in exacerbation risk (RR, 0.87 [95% CI, 0.53 to 1.42]; RD, 0.00 [95% CI, −0.02 to 0.02]), or any other outcomes of interest. Triple therapy was not significantly associated with improved exacerbation risk vs inhaled corticosteroids and LABA (RR, 0.84 [95% CI, 0.57 to 1.22]; RD, −0.01 [95% CI, −0.08 to 0.07]). Conclusions and Relevance In this systematic review and meta-analysis, the use of LAMA compared with placebo as add-on therapy to inhaled corticosteroids was associated with a lower risk of asthma exacerbations; however, the association of LAMA with benefit may not be greater than that with LABA. Triple therapy was not associated with a lower risk of exacerbations. Quiz Ref IDDaily use of inhaled corticosteroids is the cornerstone of the management of persistent asthma.1 As disease severity increases or control is determined to be suboptimal, current guidance suggests a stepwise approach in escalating therapy including increasing the inhaled corticosteroids dose, adding adjunctive therapies, or both. In patients 12 years and older, long-acting β-agonists (LABAs) are currently the preferred adjunctive therapy to inhaled corticosteroids. If control remains suboptimal, options include further increasing the inhaled corticosteroids dose and adding adjuncts such as biologics or oral corticosteroids. Such therapies expose patients to systemic effects of drugs and thus carry a risk of more significant adverse effects. In 2014, the tiotropium soft mist inhaler was the first long-acting muscarinic antagonist (LAMA) approved for the maintenance of asthma.2 Several clinical trials have evaluated LAMAs in the management of persistent asthma, a topic identified as a key area for which current guidelines will be updated.3 The objective of this systematic review and meta-analysis was to identify and analyze data comparing LAMA with placebo or with other controllers as an add-on therapy to inhaled corticosteroids and the use of a LAMA, inhaled corticosteroids, and LABA (hereafter referred to as triple therapy) vs inhaled corticosteroids and LABA in patients 12 years or older with uncontrolled, persistent asthma. We searched MEDLINE (Ovid MEDLINE, Ovid MEDLINE In-Process and Other Nonindexed Citations), EMBASE, the Cochrane Central Register of Controlled Trials, and the Cochrane Database of Systematic Reviews via OVID from inception through August 2016, updated through November 28, 2017 (eAppendix A in the Supplement). We supplemented the bibliographic database searches with backward citation tracking of relevant publications. We searched http://www.clinicaltrials.gov and the World Health Organization International Controlled Trials Registry platform for ongoing studies and those completed with reported results. In addition, the Scientific Resource Center of the Agency for Healthcare Research and Quality requested data from manufacturers. We included studies that evaluated patients 12 years and older with uncontrolled, persistent asthma1 that compared LAMA vs placebo or vs another controller as an add-on therapy to inhaled corticosteroids or that compared triple therapy vs inhaled corticosteroids and LABA. We required that studies assess 1 of the following outcomes: asthma exacerbations (systemic corticosteroid use, hospitalization, emergency department visits, intensive care or intubation, or as defined by the study), mortality (all cause or asthma-specific), spirometry (measured as peak, trough, and area under the curve [AUC] values for forced expiratory volume in the first second [FEV1], forced vital capacity [FVC], and FEV1/FVC); asthma control (Asthma Control Test [ACT] or Asthma Control Questionnaires [ACQs; 5-,6-, or 7-item]), asthma-related quality of life (Asthma Quality of Life Questionnaire [AQLQ], Mini AQLQ, and AQLQ for 12 y and older [AQLQ +12]), and health care utilization (additional medication use, additional health resource use related to the intervention). Quiz Ref IDAsthma worsening was defined by studies as a progressive increase in asthma symptoms compared with day-to-day symptoms or a decrease in morning peak expiratory flow (PEF) of 30% or more for 2 or more days. A responder was defined as having a decrease in ACQ score by 0.5 points or more6 or increase in AQLQ score by 0.5 points or more.7 A minimally important change in FEV1 was defined as an increase or decrease of 0.2 L or more.8 We considered for inclusion randomized clinical trials (RCTs; parallel group or crossover trials), prospective or retrospective observational cohort studies, and case-control studies. We included crossover trials if outcomes after the first treatment period were available or if the washout period was a minimum of 6 weeks for inhaled corticosteroids and 4 weeks for LAMA and LABA. We did not apply restrictions in publication language or date. We screened titles and abstracts using 2 independent investigators to determine if the citation met eligibility criteria. We reviewed full-text publications when both reviewers agreed a citation met eligibility criteria and resolved disagreements through consensus in consultation with a third reviewer. We contacted corresponding authors for clarification, when needed, to assess the inclusion criteria. We matched abstracts and meeting presentations to their corresponding full-text publication and reviewed them for supplemental data. One investigator abstracted data into standardized collection forms, evidence, and outcomes tables, and a second investigator verified entries. We abstracted data from period 1 of crossover trials when available, otherwise we contacted authors for period 1 outcomes. Two independent reviewers assessed risk of bias using the Cochrane Collaboration’s Risk of Bias Tool for RCTs.9 The following individual domains were assessed by 2 investigators as either low, unclear, or high risk of bias: (1) random sequence generation, (2) allocation sequence concealment, (3) blinding of participants and personnel, (4) blinding of outcome assessment, (5) completeness of outcome data, (6) selective reporting, and (7) other sources of bias. We conducted meta-analysis of RCTs using the Hartung-Knapp11,12 random-effects model to estimate risk ratios (RRs) and risk differences (RDs) with corresponding 95% CIs for binary outcomes and mean differences (MDs) with corresponding 95% CIs for continuous outcomes when data from 3 or more studies were available. We calculated the Peto odds ratio and 95% CIs for binary outcomes with rare events (<5%) in place of an RR.13 We performed sensitivity analyses removing studies that had a high risk of bias in at least 1 of the 7 domains (eg, a lack of participant or personnel blinding). We assessed presence of statistical heterogeneity using the Cochrane P value (P < .10 for significance) and the degree of heterogeneity using the I2 statistic with a value more than 50% considered substantial.14 We planned to assess publication bias using funnel plot inspection and tests of plot asymmetry when 10 or more trials were pooled.15 However, none of the pooled analysis reached this threshold. To explore sources of heterogeneity, we performed subgroup analysis when 3 or more trials per subgroup were available for a given outcome. We qualitatively summarized included studies when they were not amenable to pooling. All analyses were performed using the meta package in R (version 3.4.3; the R Project for Statistical Computing). Quiz Ref IDWe evaluated the strength of evidence as high, moderate, low, or insufficient based on established guidance.16 Two senior investigators assessed strength of evidence independently and then, through discussion, arrived at the final grading based on 5 required domains: risk of bias, consistency, directness, precision, and publication bias. A more thorough discussion of this process can be found in eAppendix B in the Supplement. Fifty-eight citations that represented 15 unique RCTs17-29 and 7122 participants (of which 789 were adolescents) were included in the analysis (Figure 1). No observational studies met our inclusion criteria. Two trials19,29 used a crossover design. Two publications18,26 reported replicate trials that provided both outcomes unique to each study as well as aggregated data. Characteristics of the included studies are in eTables 1 to 3 in the Supplement. All trials enrolled adults 18 years or older with the exception of 2 trials22,28 that were exclusively focused on children and adolescents aged 12 to 17 years. Sample sizes for individual studies ranged from 21029 to 1071 participants.18 Eight RCTs compared LAMA vs placebo as add-on therapy to inhaled corticosteroids.17-22,29 Five of these trials17-19,29 also included a LABA group and were also used to evaluate the effect of LAMA vs LABA as add-on therapy to inhaled corticosteroids. An additional 3 trials23-25 compared LAMA with another controller, including LABA, doxofylline, and montelukast. Four RCTs evaluated triple therapy vs inhaled corticosteroids and LABA. Trials ranged from 15 days19 to 18 months25 in duration. The risk of bias assessment for each included study as well as a summative assessment by domain are shown in eFigures 1 and 2 in the Supplement. Most RCTs had a low risk of bias for random sequence generation (13 [86.7%]), allocation concealment (12 [80%]), incomplete data reporting (14 [93.3%]), selective reporting (12 [80%]), and other types of bias (15 [100%]). Three studies (20%) had a high risk of bias for blinding of participants and personnel and 2 studies (13.3%) for blinding of study outcomes. Adding LAMA to inhaled corticosteroids vs adding placebo when the inhaled corticosteroids dose remained the same was associated with a significantly reduced risk of asthma exacerbation requiring systemic corticosteroids (RR, 0.67 [95% CI, 0.48 to 0.92]; RD, −0.02 [95% CI, −0.04 to 0.00]) (Table 1,6,7,30-34Figure 2A) and asthma worsening (RR, 0.81 [95% CI, 0.68 to 0.97]; RD, −0.05 [95% CI, −0.10 to 0.01]) (eFigure 3 in the Supplement). No deaths occurred in the 6 trials reporting this outcome.18-22 No statistically significant associations were found for the Asthma Control Questionnaire (ACQ-7) scores (Figure 2B) or ACQ-7 responder analysis (eFigure 4 in the Supplement). LAMA was associated with improvements in peak, trough, and AUC for both FEV1 (MD, 0.18 [95% CI, 0.13 to 0.24]; MD, 0.13 [95% CI, 0.10 to 0.16]; MD, 0.18 [95% CI, 0.13 to 0.23], respectively) and FVC (MD, 0.11 [95% CI, 0.05 to 0.18]; MD, 0.08 [95% CI, 0.04 to 0.13]; MD, 0.11 [95% CI, 0.05 to 0.17], respectively) vs placebo, as was FEV1% predicted (MD, 3.5 [95% CI, 1.58 to 5.42]) (Figure 3A, eFigures 5-10 in the Supplement). LAMA was not associated with significant improvements in either rescue medication use (Figure 3B) or QOL vs placebo. A single crossover trial29 compared adding LAMA to inhaled corticosteroids vs adding placebo with doubling the inhaled corticosteroids dose. There was no significant association with exacerbation risk, ACQ-6 score, FEV1 trough, or AQLQ score when data from the first treatment period was analyzed. The majority of identified data compared adding LAMA vs LABA to inhaled corticosteroids (Table 2). Comparing LAMA with LABA as add-on therapy to inhaled corticosteroids, there was no statistically significant association of LAMA with the risk of exacerbation requiring systemic corticosteroid (RR, 0.87 [95% CI, 0.53 to 1.42]; RD, 0.00 [95% CI, −0.02 to 0.02]) (Figure 2A), in asthma worsening (RR, 1.00 [95% CI, 0.84 to 1.20]; RD, 0.00 [95% CI, −0.05 to 0.04]), or in the composite outcome including oral steroid use or increase in asthma medication (RR, 0.60 [95% CI, 0.15 to 2.42]; RD, −0.03 [95% CI, −0.12 to 0.06]). No deaths occurred in 3 RCTs and in the fourth trial 3 of 532 participants (0.6%) died in the LAMA group, 2 of these deaths were considered asthma-related (0.4%) whereas no deaths occurred in the LABA group. LAMA had no significant associations with ACQ scores with 1 trial reporting ACQ-6 score, 2 trials reporting ACQ-7 scores, and 2 trials reporting ACQ-7 responder analysis. No significant associations were found in measures of spirometry including the most frequently reported lung function measures of FEV1 trough, FEV1% predicted, and FVC trough with LAMA use (Figure 3A, eFigures 5-10 in the Supplement). No significant associations were found for AQLQ score (eFigure 11 in the Supplement), Mini AQLQ score, or rescue medication use (Figure 3B). Two trials compared LAMA vs other controllers, including montelukast and doxofylline.23,24 LAMA was associated with a significant decrease in FEV1% predicted (MD, −2.14 [95% CI, −2.93 to −1.35]) vs montelukast in a single trial whereas in a subsequent trial LAMA was associated with increased rescue medication use (MD, 1.19 [95% CI, 0.88 to 1.50]) vs montelukast. A significantly reduced mean difference in FEV1% predicted was associated with LAMA use vs doxofylline in 2 trials (MD, −3.87 [95% CI, −4.6 to −3.14] and MD, −2.69 [95% CI, −4.79 to −0.59]), whereas 1 trial found a significant association with more rescue medication use with LAMA (MD, 1.21 [95% CI, 0.89 to 1.53]) and the second found no significant association (Table 2). Triple therapy was not significantly associated with the risk of exacerbation requiring systemic corticosteroids vs inhaled corticosteroids and LABA when the inhaled corticosteroid dose remained the same (RR, 0.84 [95% CI, 0.57 to 1.22]; RD, −0.01 [95% CI, −0.08 to 0.07]) (Figure 2A) although it was significantly associated with a lower risk of asthma worsening (RR, 0.78 [95% CI, 0.72 to 0.86]; RD, −0.01 [95% CI, −0.22 to 0.01]) (eFigure 3 in the Supplement) (Table 3). Two studies reported exacerbations requiring hospitalization and neither found a significant association at 48 weeks. No deaths occurred in the 3 trials included in this analysis, 2 of which were 48 weeks in duration and the third being 12 weeks in duration. No significant associations with ACQ-7 scores were found with triple therapy vs inhaled corticosteroids and LABA (Figure 2B). No consistent association for triple therapy on ACQ response was seen across studies (Table 3). Triple therapy was associated with improvements in some measures of spirometry, including FEV1 trough (MD, 0.07 [95% CI, 0.01 to 0.14]) and measures of FVC (peak MD, 0.11 [95% CI, 0.05 to 0.17]; trough MD, 0.09 [95% CI, 0.03 to 0.15]; AUC MD, 0.10 [95% CI, 0.04 to 0.17]) (Figure 3A, eFigures 6-10 in the Supplement). No significant associations with FEV1 peak were seen (eFigure 6 in the Supplement). No significant association with AQLQ score or AQLQ score response was seen with triple therapy. Triple therapy was not significantly associated with improvements in rescue medication use vs combined inhaled corticosteroids and LABA therapy (Figure 3B). A single trial compared triple therapy vs increasing the inhaled corticosteroids dose administered with a LABA and found no significant association with ACT scores. Preplanned subgroup analysis based on tiotropium dose did not suggest any substantial associations with either dose compared with placebo or with each other (eTable 4 in the Supplement). When we removed studies with components of high risk of bias, the overall findings remained consistent (eTable 5 in the Supplement). Because the duration of follow-up was shorter in the study by Lee et al19 (15 days), we conducted post hoc meta-regression analyses for outcomes including this study. No significant association between any outcomes and study duration was seen (P > .05 for all) (eFigures 12-17 in the Supplement). Quiz Ref IDIn this systematic review and meta-analysis, the addition of LAMA to inhaled corticosteroids maintenance therapy for the management of persistent uncontrolled asthma in patients 12 years and older taking inhaled corticosteroids alone was associated with lower exacerbation risk and improved spirometry measures. This systematic review did not find sufficient evidence that adding LAMA to inhaled corticosteroids in this population was associated with improvements in clinical outcomes vs adding LABA and the wide 95% CIs around the relative risk does not exclude the possibility that one of these treatments could be superior to the other. Triple therapy was associated with some improved outcomes, including spirometry, vs LABA and inhaled corticosteroids although no association with improved exacerbation risk was seen. Final health outcomes important in the management of asthma include the reduction of exacerbation and mortality risk. Exacerbations were almost exclusively reported as those that require systemic corticosteroids and LAMA was associated with a significant 47% reduction in risk when added to inhaled corticosteroids vs adding placebo, when the inhaled corticosteroids dose was held constant. 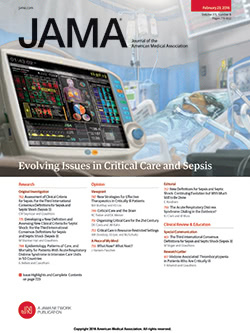 LAMA was not significantly associated with the risk of exacerbation compared with doubling the dose of inhaled corticosteroids, with LABA as an add-on therapy to inhaled corticosteroids, or with triple therapy with the inhaled corticosteroids dose remaining the same in a population of patients that had severe persistent asthma considered of highest risk of exacerbations. In the trials evaluating triple therapy, patients were also permitted to continue use of stable doses of other controllers; thus, results are most applicable to a similar patient group. Other definitions of exacerbations were rare and did not suggest difference in association for any of the comparisons made. Deaths did not occur in the trials that reported this outcome, with the exception of 1 trial that compared LAMA vs LABA as add-on therapy to inhaled corticosteroids in which asthma-related deaths were infrequent over 18 months. However, most other trials did not exceed 6 months of duration and thus were limited in the reporting of such final health outcomes. Spirometry is considered a core outcome to measure asthma severity, control, and response to therapy and both FEV1 and FVC are responsive to bronchodilators.35 When LAMA was added to inhaled corticosteroids vs placebo with the inhaled corticosteroids dose remaining the same, significant associations with improved measures of FEV1 and FVC were seen. Similarly, significant improvements in FVC measures were associated with triple therapy whereas measures of FEV1 trended in the same direction. Despite these positive associations, none of the results for FEV1 reached the minimally important difference of 0.2 L.8 There were no significant associations with improvements in spirometry between LAMA and LABA as an add-on therapy to inhaled corticosteroids, suggesting that bronchodilation is not significantly different between these 2 therapies. Given the association with small numerical improvements in spirometry with LAMA, it is reasonable to expect similar improvements in other measures of asthma control. Rescue medication use (measured as puffs per 24 hours) was not significantly associated with LAMA regardless of the comparator. Moreover, the mean difference in ACQ-7 score, which is a preferred tool to measure asthma control,36 was also not significantly associated with LAMA vs any other comparator. Prior research suggests the lack of improvement in ACQ score is consistent in trials studying the effect of another controller added on to inhaled corticosteroids therapy and further suggests the need for investigators to conduct responder analysis.37 In this systematic review, improvements in ACQ responder analysis was not significantly associated with LAMA added to inhaled corticosteroids vs placebo, nor was there an association when comparing LAMA with LABA as an add-on therapy to inhaled corticosteroids. However, a consistently positive association was seen with triple therapy for ACQ score response, and a similar pattern found for asthma-related quality of life. Thus, although triple therapy was not associated with a reduced exacerbation risk in this systematic review, patient-important outcomes such as symptom control and quality of life were favorable. The target population for this review included an age group of 12 years and older, with uncontrolled, persistent asthma. This age category was chosen to be consistent with the current Expert Panel Report-3.1 All but 2 studies included in this review enrolled adults 18 years and older, and the mean age was generally in the fourth decade; most studies excluded patients older than the sixth to seventh decade. The 2 included trials22,28 specific to adolescents were in general agreement with the findings of this systematic review suggesting LAMA vs placebo as add-on therapy to inhaled corticosteroids is associated with numerically improved lung function although statistical significance was not achieved in the 1 trial of 12 weeks duration. Both trials cite profound placebo effects that may be explained by improved inhaled corticosteroids adherence due to the trial environment.37 Although statistical heterogeneity was low in all of the analyses within this review, the applicability of results in this systematic review may not fully reflect the breadth of ages that require asthma management, including adolescents and elderly persons. The literature base included in this systematic review is almost exclusive to 1 LAMA—tiotropium. Other LAMAs, such as aclidinium and glycopyrronium, are approved for other indications. One study in this systematic review evaluated glycopyrronium, but the trial was a crossover and thus contributed period 1, which was only 15 days. In the future, if additional LAMAs come to the market for asthma management, there may be value in having their efficacy individually assessed and compared with findings of this review. Several clinical trials are ongoing (NCT02676089, NCT02676076, NCT02433834, NCT02382510) related to other LAMAs in asthma management and will provide future evidence in this area. Of the various subgroups of interest defined a priori, data was only sufficient for the analyses based on tiotropium dose. Analysis in this systematic review did not show significant associations for tiotropium doses of 2.5 μg and 5 μg for any outcome. Multigroup trials have compared both doses of tiotropium with placebo and have assessed if the change is greater numerically with 5 μg vs placebo or 2.5 μg vs placebo without formal statistical testing. Studies have found inconsistent effects with some data suggesting a numerically greater improvement with 5 μg vs placebo whereas others suggest 2.5 μg produces a numerically greater improvement vs placebo.18,20-22 In the absence of formal indirect statistical comparison, subgroup analysis in the current systematic review suggests a lack of association between these 2 doses. Future trials should consider reporting data on other subgroups of interest as well, including those determined by expert panelists to be of most importance within this review, and routinely report such results numerically to help decision makers reach more individualized treatment decisions. Trials included in this systematic review defined uncontrolled asthma based on the ACQ score. However, this is only 1 of many criteria recommended for assessment.1 Likewise, although all patients were considered to have persistent asthma given their use of inhaled corticosteroids maintenance therapy, whether patients had mild, moderate, or severe persistent asthma was left to the reporting of the study authors. Future studies would benefit from consistently defining the severity and control of asthma in the recruited population to facilitate evaluation of various degrees of severity. There are many potential reasons a patient may be considered to have uncontrolled asthma and these may provide insight into preference for a particular treatment. Future studies should focus on these various causes of uncontrolled asthma as part of investigation for alternative treatments. Knowing more about the severity and control of enrolled participants would also enhance applicability of evidence. This study has several limitations. First, this systematic review did not address harms or costs associated with LAMA or the other pharmacotherapies of interest because they were not within the scope of the review. However, when selecting appropriate therapy for patients, decision makers should consider known harms and costs of these drug therapies. Second, at the time that this review was designed and conducted, tiotropium was approved for patients 12 years and older. Recently, tiotropium has been approved in patients as young as 6 years; thus, this younger age group is not reflected in the current findings. Third, although there were many subgroups of interest, analyses could not be conducted on most of them due to the lack of reported data or relatively few trials with reported data. This limits the ability of decision makers to further individualize recommendations. Fourth, conclusions regarding the comparison of LAMA with controllers other than LABA as add-on therapy to inhaled corticosteroids could not be made given a relatively small amount of data that was also limited in outcomes. Fifth, due to the number of outcomes that were evaluated, type I error cannot be ruled out for statistically significant associations. Sixth, the included trials used efficacy designs; it is unclear whether evidence from real-world settings would provide similar results. Quiz Ref IDIn this systematic review and meta-analysis, the use of LAMA compared with placebo as add-on therapy to inhaled corticosteroids was associated with a lower risk of asthma exacerbations; however, the association of LAMA with benefit may not be greater than that with LABA. Triple therapy was not associated with a lower risk of exacerbations. Accepted for Publication: February 25, 2018. Correction: This article was corrected for an error in the forest plot of Figure 3A on April 10, 2018. Corresponding Author: Diana M. Sobieraj, PharmD, University of Connecticut School of Pharmacy, 69 N Eagleville Rd, Unit 3092, Storrs, CT 06269 (diana.sobieraj@uconn.edu). Author Contributions: Drs Sobieraj and Baker had full access to all of the data in the study and take responsibility for the integrity of the data and the accuracy of the data analysis. Concept and design: Sobieraj, Baker, Weeda, Coleman, White, Lazarus, Blake, Lang. Acquisition, analysis, or interpretation of data: Sobieraj, Baker, Nguyen, Weeda, Lazarus, Blake, Lang. Drafting of the manuscript: Sobieraj, Baker, Weeda, White, Lazarus, Blake, Lang. Obtained funding: Sobieraj, Baker, White, Lang. Administrative, technical, or material support: Sobieraj, Baker, Nguyen, Weeda, Coleman, White, Blake. Supervision: Sobieraj, Baker, White, Lang. Conflict of Interest Disclosures: All authors have completed and submitted the ICMJE Form for Disclosure of Potential Conflicts of Interest. Dr Lazarus reported consulting for the University of Connecticut. Dr Blake reported consulting for the University of Connecticut and receiving grant funding from Nemours Children’s Health System. No other disclosures were reported. Funding/Support: This systematic review was funded under contract HHSA290201500012I from the Agency for Healthcare Research and Quality (AHRQ), US Department of Health and Human Services. Role of the Funder/Sponsor: AHRQ had no involvement in the design or conduct of the study; collection, management, analysis or interpretation of the data; preparation, review or approval of the manuscript; or decision to submit the manuscript for publication. Disclaimer: The authors of this article are responsible for its content. These results do not necessarily reflect the opinions or views of the BASALT-TALC investigators or the NHLBI. Statements in the article should not be construed as endorsement by the AHRQ or the US Department of Health and Human Services. AHRQ retains a license to display, reproduce, and distribute the data and the report from which this manuscript was derived under the terms of the agency’s contract with the author. Additional Information: Data from the crossover trial by Peters et al29 were provided by the National Heart, Lung, and Blood Institute (NHLBI) Biologic Specimen and Data Repository Information Coordinating Center and independently analyzed by the Evidence-based Practice Center to generate outcomes for period 1 because these data were not reported in the primary manuscript.